If you want to have an on-location party we can travel to Westerville, New Albany, Grove City, Downtown Columbus, The Short North, Italian Village, Victorian Village, Hilliard, Clintonville, German Village, Worthington, Dublin, Powell, and more. Please note there is a $100 travel fee for any location further than 10 miles of the studio. Contact for information about party locations greater than 10 miles. 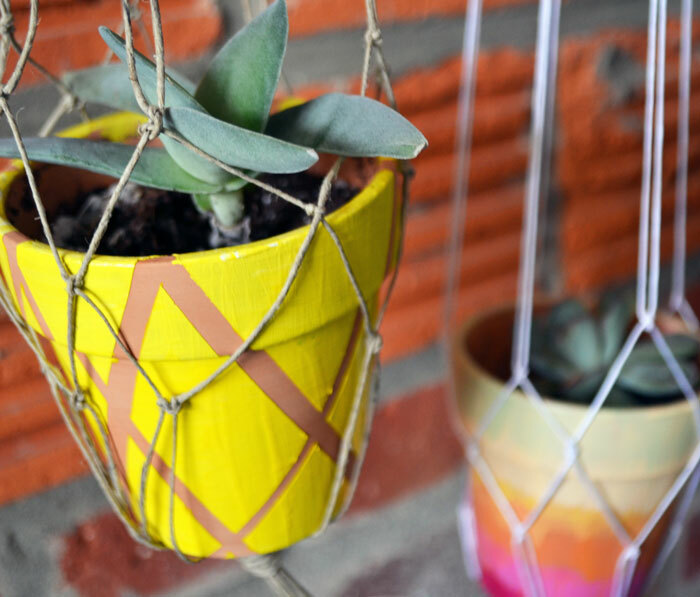 We’ll guide you through all the steps to create your own custom macrame hanging planters! 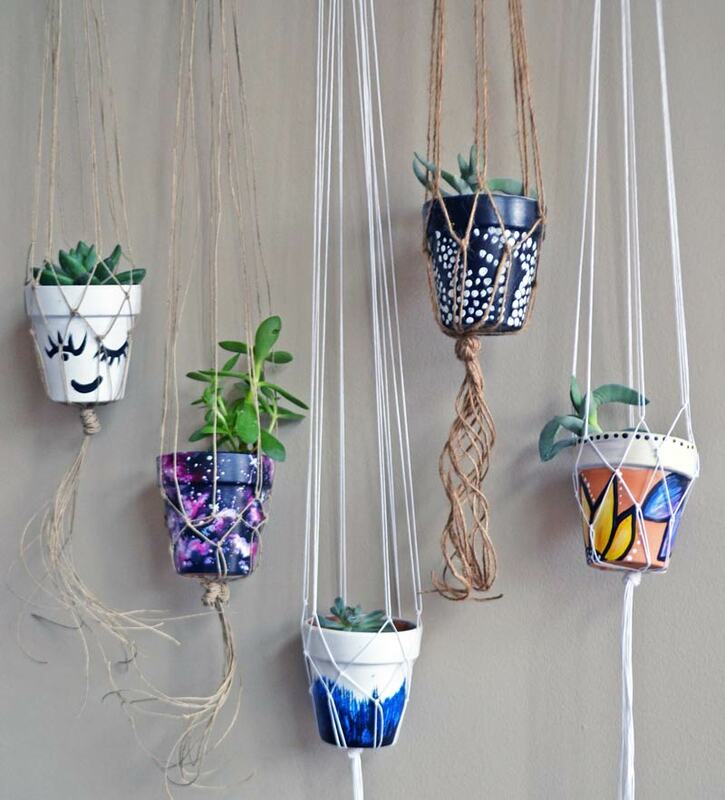 Our trained artists will help guide you through the process of painting whatever designs you’d like on these planters, and we’ll teach you our step-by-step DIY macrame techniques. 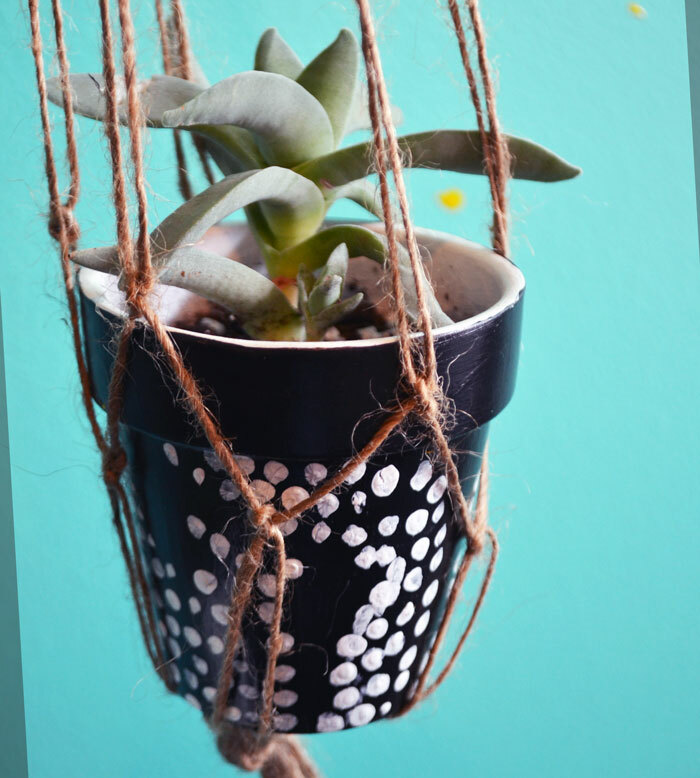 The miniature succulents are included with this cost, and the completed planters will go home with you ready to hang! Available for private parties, corporate groups, fundraisers, and Columbus bar venues. Book This Paint Party Online! Open Classes: Reservation required. 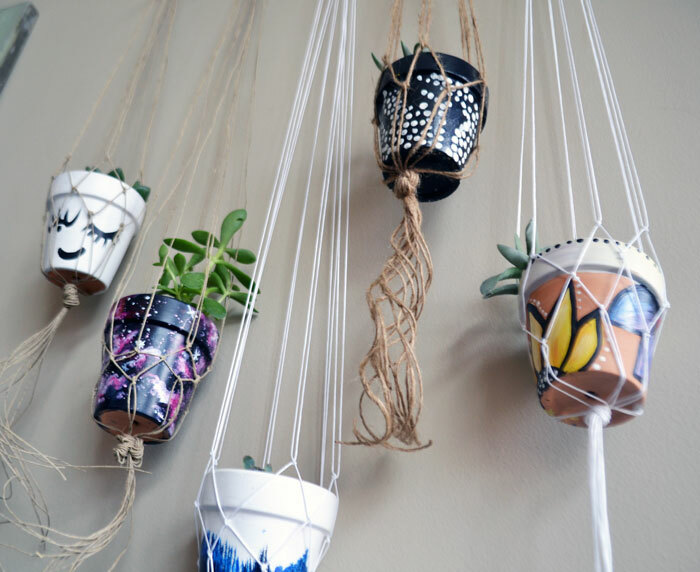 Find the next Macrame Hanging Planters Class in our studio or Columbus partnered venues on our Events Page. Private Party: Minimum 10 People. 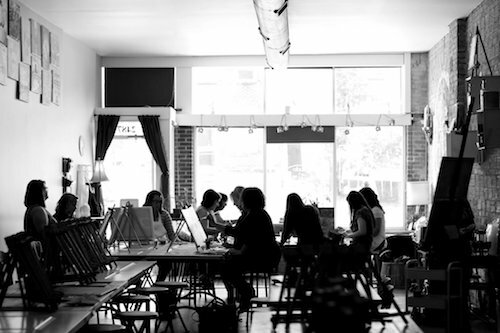 Choose a Venue (Our 2487 Summit Street Studio, your house, or a local Columbus bar/restaurant). Pick a Date and Contact Us! Each guest will choose their shape, any color(s) of paint they’d like (included in price) and with the help of our artist instructors will begin painting their 2 terracotta pots! 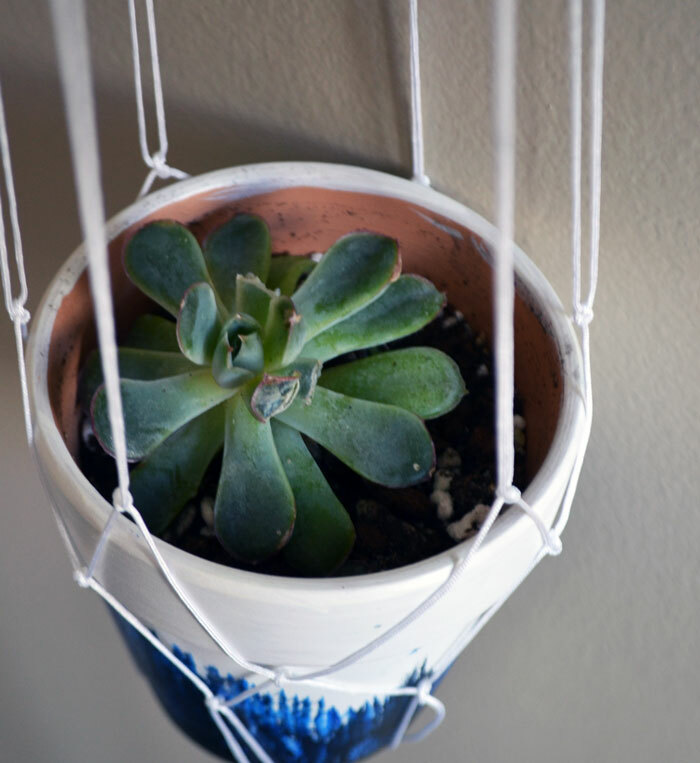 Our artist instructors will then walk you step-by-step through the process of creating your own macrame string holders for these pots. We’ll also plant some miniature succulents in the pots before hanging, and the final pieces will be ready to hang at home! Minimum 10 people to reserve a private group. My wife was so surprised that I had planned such a good date night. Brownie points for me, but even better that we created something together. This was the BEST party I’ve had EVER. My girls and I couldn’t even stop talking about how awesome it was. Thank you so much for loving Columbus as much as I do!! Studio 614 String Art Pinterest Parties let you take home the cutest home accent decor you could imagine. Guests will be taught the techniques of using a stencil to create these intricate string art designs, and our artists will be present to help guide each guest through their own custom piece! Upon arrival, guests will sit down at work stations already laid out with all of the supplies necessary. All you need to bring is your friends and your wine or snacks. If the party is at a Columbus restaurant or bar, servers will attend the class for the entire duration serving you up whatever snacks or drinks you’d like!